Liposuction and tummy tuck are among the most popular body contouring procedures. While lipolysis is the fourth most popular cosmetic surgery procedure, abdominoplasty ranks 6th in the list according to the 2013 annual report of American Society of Plastic Surgeons (ASPS). Of course, an attractive body profile is sure to improve one’s self confidence and self esteem. 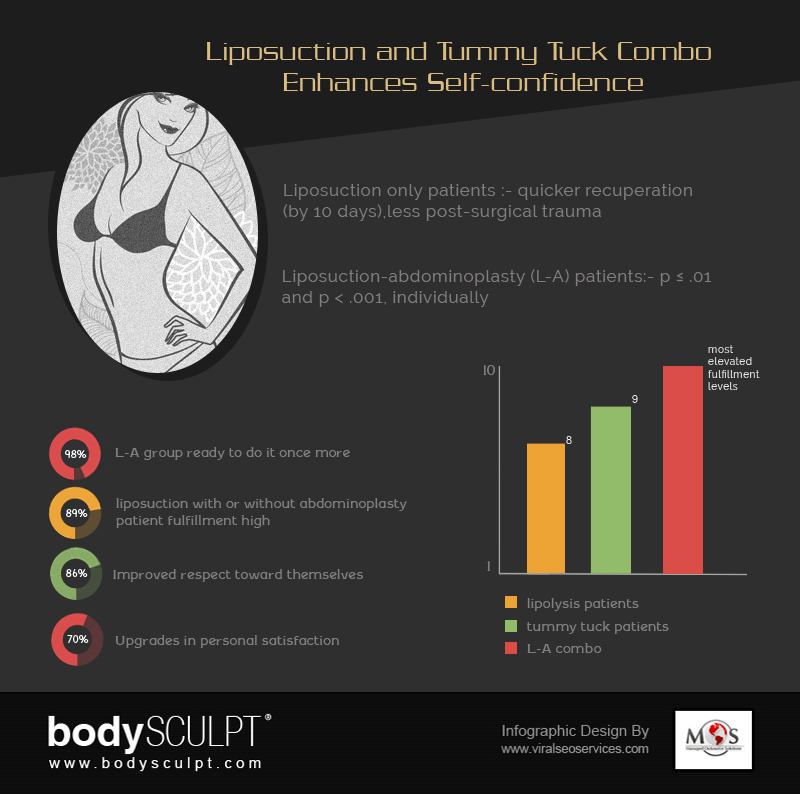 A study published in Plastic and Reconstructive Surgery reiterated this, reporting that a liposuction and tummy tuck combo enhanced self-confidence, with the signs of both mental and physical improvement. 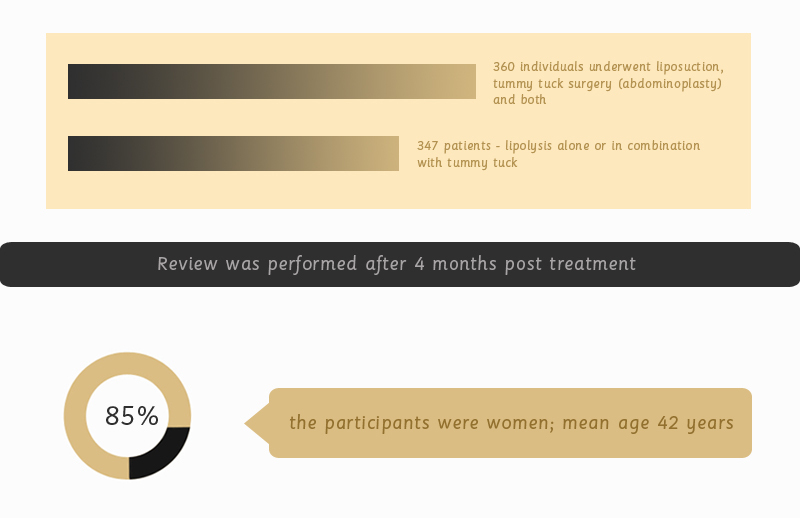 The researchers evaluated 360 individuals who had undergone liposuction, tummy tuck surgery (abdominoplasty) and both, 4 months after they had the treatment. The entire group answered queries pertaining to recuperation, results, difficulties, and mental components. If you think you can benefit from this combination treatment, consult an experienced plastic surgeon. 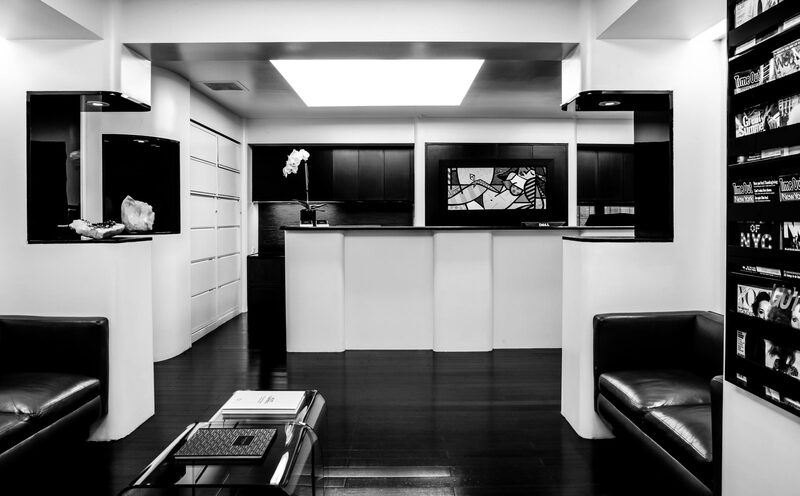 At a reliable plastic surgery practice, you would be assured of a detailed evaluation to determine your candidature for these procedures and safe and effective treatment to meet your goals.